source, Down to Earth Trail Mix. One of my biggest pet peeves about run-of-the-mill trail mix is the abundance of filler nuts (or legumes) like peanuts and cheap, processed milk chocolate. I prefer to make my own, but after sampling new Down to Earth (DTE) Trail Mix, my DIY version doesn't look as appetizing as it used to. The folks behind DTE believe the food we eat should be healthy, satisfying, delicious, and make us feel good. 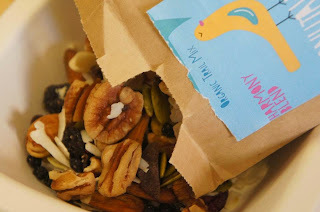 I received a complimentary sample of their Harmony Blend, a wonderful combination of pecans, walnuts, almonds, dried blueberries, dark chocolate chunks, pumpkin seeds, coconut, raisins, and sea salt. I planned to take my complimentary bag of the mix with me on a weekend hike, but ended up finishing the entire bag before the weekend rolled around. The proportion of different nuts and seeds is perfect and I got a nice dark chocolate surprise in every handful. The best part? All of the ingredients are organic. Recommended? Absolutely. If you're convinced you need to try DTE Trail Mix, which you should be, DTE is offering free shipping when you order through Amazon! Choose from the 8oz or 16oz bags and use the code "QJB4IVEA" through July 31, 2013. RxBars might be the best thing to happen to the protein snack category since the invention of beef jerky. At 250 and 290 calories respectively, the blueberry and cacao flavored bars are both delicious and packed with seven (or fewer) high quality ingredients. You won't find dairy or soy-based protein typically used in protein bars bars in either bar option. Instead, RxBars contain egg white powder. They're also grain, added sugar, gluten, soy, dairy, and artificial ingredient-free. They're the most filling protein bar I've tried, and if you can't handle the whole bar at once, the packaging is resealable. Recommended? Yes, yes, and yes. If you've got a furry hiking companion, odds are you're carrying food for both of you when you're on the trail. When I received a note about testing YaffBars, I was skeptical after reading they're "...the world’s first people-food energy bars that can be enjoyed alone or shared with your dog." I don't have a dog, and often make the assumptions based on dogs I've met that they're capable of eating just about anything. Wrong. Some of my favorite energy bar ingredients, including raisins, macadamia nuts and chocolate are toxic to dogs. YaffBars are wheat, dairy, caffeine, and refined sugar free, and they're safe for both you and your pup. Of the three YaffBar flavors I tried, the banana peanut butter version was my favorite. To get a dog owner's perspective on the YaffBar concept, I asked a friend with two adorable, energetic labs to see what he thought of the idea. "I try to draw the line between people food and dog food for training purposes." He said. "I try not to get my dogs into the habit of thinking my food is their food." Another friend said she thought they were a fantastic idea and she couldn't wait to try them. To each dog owner their own! Recommended? Mostly, from the human end of the spectrum. See Author's Note below. 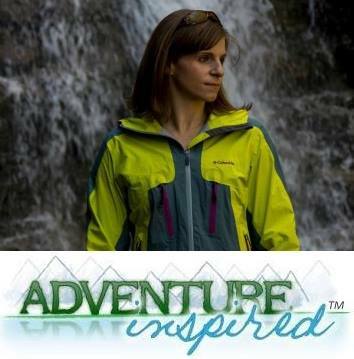 Whether I'm snacking at home or on the trail, I'm likely to reach for something salty and crunchy first. But I'll occasionally crave something sweet too, and with CLIF MOJO bars, I can tackle all of my cravings with one bar. MOJO bars are made with organic ingredients and feature a variety of nuts, pretzels, raisins, chocolate chips and more that give the bars a crispy, crunchy texture. 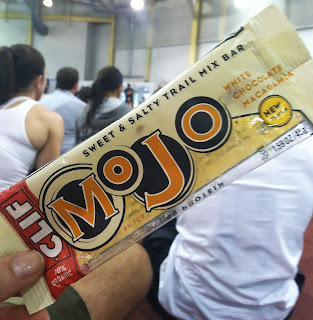 Of the six MOJO bar flavors, the chocolate almond coconut was my favorite with the mountain mix flavor coming in at a close second. Recommended? Mostly. See Author's Note below. Have you tried any of these snacks? Think you'd switch from your go-to trail mix to Down to Eearth's Harmony Blend? Dog owners, how do you feel about the YaffBar concept? Sound off in the comments! Author's Note: A little over a year ago, I wrote about five of my favorite squeaky clean trail snacks. As I mentioned in that post, my eating habits trend in the Paleo/Primal direction, but that doesn't mean it's for everyone. If you're strictly Paleo/Primal, note that neither the YaffBars (all contain brown rice syrup) nor the MOJO bars (all contain wheat and some contain soy, soy lecithin and peanuts) are Paleo/Primal. I wanted to test both the YaffBars and MOJO bars anyway, as I don't eat Paleo/Primal 100% of the time. If you're okay with soy and wheat-based ingredients, based on the flavor and texture, they're great options for snacking on the trail and anywhere else! 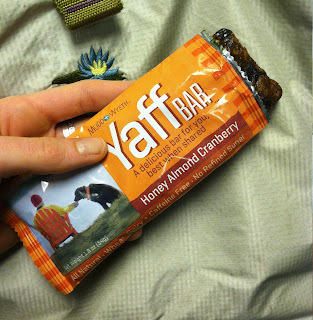 I heard about these Yaff Bars and I'm torn too...although I'm definitely not above sharing my PB&J with Tals on the trail. So, I guess, what's the difference? !